RC EYE One (88003RC) including Remote Control (Mode 2), 7.4 V 350 mAh LiPo Battery, USB Charger, 4x Replacement Rotor, 2x Replacement Landing Skid and 2x AAA Battery. Never before has RC flying been so much fun! 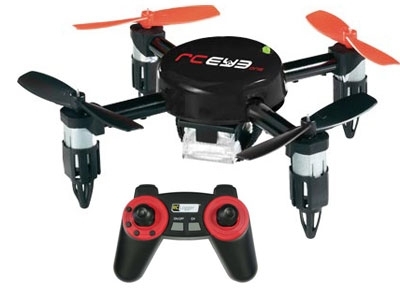 The buzzing RC EYE One is something for just everyone, with or without past flying experience, it’s easily and safely maneuverable. The self-stabilizing, robust 4-rotor frame and a smart flight control system make it all possible – almost indestructible! Unpack and fly, turn your living room or office into a flying field just like outdoors where you can master your skills. 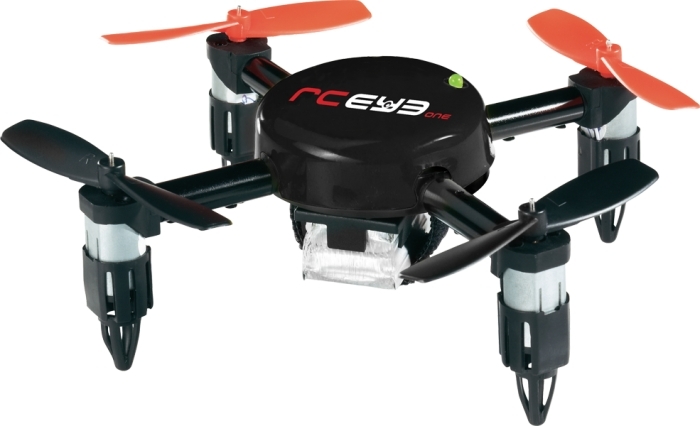 RC EYE One weighs less than 100 grams, it reacts sensitively to wind or draughts. The RC EYE One is tiny, very strong and durable. It is powered with a lithium polymer battery. You can just simply charge the LiPo battery (7.4 V 350 mAh) by using the charger provided. The copter is ready-to-fly. It is supplied fully built with no assembly required. The flight model can be operated both in inner rooms and outdoor. 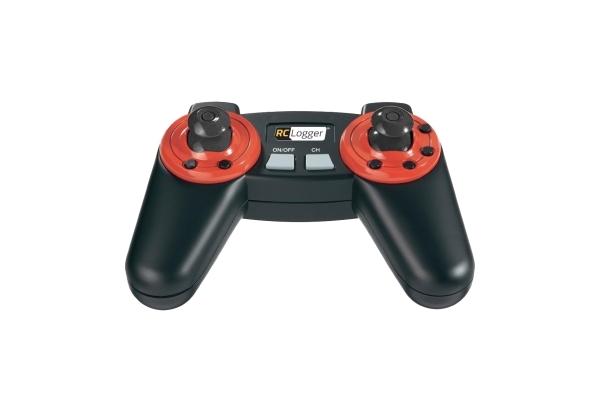 Simple-to-use control allows you to fly at a more leisurely pace if desired. The model is designed for beginners as well as experienced model helicopter pilots. There are 3 different flight modes (starters, sports and expert). It can ensure fun for beginners to experts. The remote control transmitter can be programmed to five different transmitter channels so that five pilots can fly an RC EYE One together. It reacts sensitively to wind or draughts. The in-built electronic controls can balance out small undesired changes to the flight altitude.